Leadership is not the same for every culture - it is truly diverse. 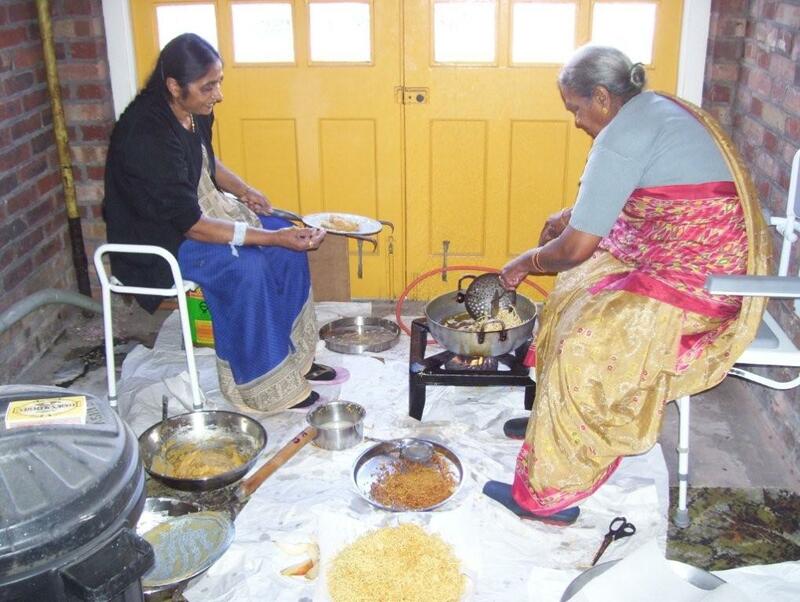 In the above picture, my mother(seated right) is making nasto (an Indian snack) for the family. Helping her is our domestic maid who by coincidence has the same name - Savita. I captured them chatting away and working together as if no-one was boss or servant, there was instinctive equality and no hierarchy. There was no need to show power or use power, or to keep a distance - they seemed very open and respectful of one another. Also their output was for the whole family - itself an act of self-sacrifice and sharing. There was humility and service in the act, and no need to pretend or disguise true intentions. This is an excellent lesson on leadership. Often, leaders ask us why it is that they can recruit diverse candidates at the bottom, but the top is very male and mono-cultural. I explain that not all cultures understand hierarchichal leadership, nor do they feel welcome and respected in structures where the leadership culture is very singular and closed. Also not all women want to have power and take command in strong hierarchical organisations. The mountain may appear too steep, or not worthy of climbing at all as the employees do not have the right toolkit or skin. This they find difficult to understand - partly because it is unfamiliar for bosses to be a minority or to lead with diverse peoples and share power. In fact, I explain many ethnic professionals are not after power at all - they just want to do a good job and do it well. At a time when there is such economic stress in the world, when leadership is being debated, such examples and stories should inspire us all. They should be seen as resources for wisdom in leadership and expressions of what is timeless about respect and culture. We could draw from such stories and share them with the world to enrich the very thinking and approach to leadership and equality. Every time the maid comes, my mother cooks her a fresh lunch. At the end of the above session, she gave her two boxes of nasto, and asked me to drop her first at home and then to her next job. There was a holistic respect and love which was very unique to see. And there was no superiority. Nor any fear of losing power or status - it was true equality in its spirit. And this is very rare to see in modern organisations. Advice on Social Cohesion - As a social enterprise, Diverse Ethics was concerned that the huge cultural wisdom of ethnic minorities was not being used to show positive public policy solutions to Britain. INNOVATION TEAM - Hiteishee founder Kumar Bhimjiyani sees difference as strength.